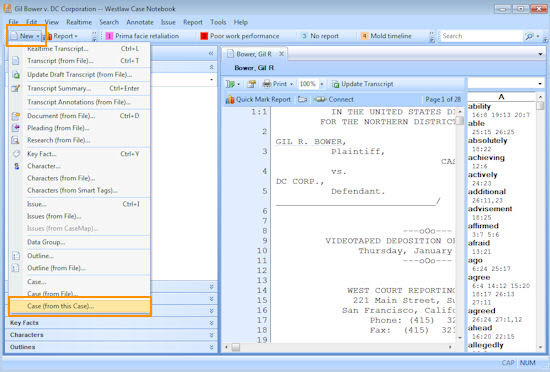 You can use a local case in Case Notebook™ as a template for similar or related cases. The Copy (from this Case) feature copies all of the information in your case, including data, annotations, issues, and data groups, and transfers it to a new case. To make a copy of a local case, on the New menu, click Case (from this Case) on the menu. In the Save As dialog box, in the File name box, type a name for your new case, then click Save.